BBG&CS: Abney & the Fall of Rome, Advanced Stats, Salary Cap going UP, Refs, Swedish Goalies, and is this IKEA or a Swedish Hockey Player? Cameron Abney Takes on The World!!! 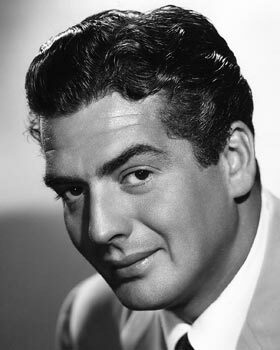 (courtesy of the Bakersfield Condors) — For old movie buffs, Abney has always reminded me a bit of Victor Mature (in Samson and Delilah, 1949) — a man with a strong jaw, incredibly cheesy, but also impressive at times. On the other hand, this particular photo reminds me of Thomas Cole’s painting The Course of Empire: Destruction, 1836, which portrayed the destruction of the Roman Empire. “The best way to predict the future record is to, as much as possible, remove chance from the equation. This is what “advanced” statistics attempt to do. They provide unbiased fact, though of course there remains room for bias in interpretation. They provide better information than the outmoded numbers that too many still rely on. And, most importantly, they try to reduce the noise and isolate the true talent levels of teams and players. That’s why those numbers are important, not only for analysts but also for fans; they provide good information and can enhance understanding of the game.” — via Jonathan Willis at Bleacher Report. | With the increase in revenue from the recent Canadian TV deals, the NHL salary cap is going UP! “The NHL salary cap is projected to rise to more than $71 million in the 2014-15 season, TSN’s Bob McKenzie and Darren Dreger reported Monday. […] The projection would be about a $7 million rise from 2013-14 level of $64.3 million. It would also be the highest salary-cap level in NHL history.” — via Sports Illustrated SI Wire. See also: Stephen Whyno, The Canadian Press. “My take on this: Thornton went after the wrong guy for the wrong thing.” — via Paul Stewart, HockeyBuzz. “Canadian goalies, long the dominant stoppers in the game, have slowly been disappearing from the NHL, losing jobs to their European and American counterparts. And with the 2014 Winter Olympics fast approaching, the country that produced such superstars as Patrick Roy, Martin Brodeur and Ed Belfour now frets over who will mind its net in Sochi.” — via James Mirtle, The Globe and Mail. | Is this a piece of IKEA furniture, or a Swedish Hockey Player? You take the test! “[…] many of the items I saw in [IKEA] reminded me of Swedish hockey player names…. I’ve put together the below quiz, asking you to differentiate between professional Swedish hockey players and IKEA furniture.” — via Sam Page, Extra Mustard. Thanksgiving is now over and for the past three days we have turned to that great post-Thanksgiving tradition of creative ways to make use of all of the leftovers. Today, Sunday’s brunch will be turkey hash! (I love hash and yes, it works well with turkey believe it or not! Comfort food at its best.) Meanwhile, in the hockey world a great deal has been happening the past week — team valuations, concussion lawsuits, Canadian TV deals, a new ECHL team, more on goalie gear changes, interviews and lots of talk about Gilbert Brulé’s recent signing(s)! | Forbes has released their annual list of NHL’s Most Valuable Teams, and if you are wondering, yes, the lockout was very good to the NHL! “The average NHL team now has an enterprise value (equity plus net debt) of $413 million, 46% more than a year ago.” via Mike Ozanian, Forbes.com and the full coverage of Forbes The Business of Hockey, and the NHL’s Richest Local Television Deals. “The 12-year agreement, announced jointly by the NHL and Rogers in a Tuesday morning press conference, is for $5.232 billion (Canadian). It’s the largest media rights deal in NHL history and one of the largest media rights deals in Canadian history. It is also Canada’s largest sports-media rights agreement.” via NHL.com. “Total HRR had grown from $2.2 billion to $3.3 billion in the seven years between lockouts. The league expected to generate $1 billion more in national revenue over the next three years, with things like outdoor games and, oh, let’s see, a new Canadian TV contract. The owners would split that 30 ways.” via Nicholas J. Cotsonika, Yahoo Sports. “It means your team will get an infusion of cash, with the Canadian clubs getting a little extra to make up for regional games that will no longer have blackout protection. […] While there is nothing firm for 2014-15, a couple of NHL general managers said they expect the cap to be close to the $70.2-million figure from the lockout-shortened 2013 season (Don’t forget there is a clause in the new CBA allowing for a five per cent “escalator” on the initial figure and only once in the previous deal did it go unused). Last summer, those same GMs said they’d been told to expect an $80-million limit in the not-too-distant future. Now, depending on outdoor games, a World Cup and the fact the annual media rights fee grows toward $500 million per season, I can’t help but wonder if we’re looking at an even higher number very soon. That’s really something.” via Elliotte Friedman, CBC.ca. “Three years ago, Hockey Canada held a concussion seminar in Montreal. The participants received a packet that included a welcome letter from Ken Dryden, the Hall of Fame goalie and member of parliament. Dryden wrote about how we think back on the past and wonder why we could have been so wrong. He went from slavery to smoking to sports. Why did football and hockey players go so long without helmets? Why did hockey goalies go so long without masks? He wondered what people would think in 50 years about how we have handled head injuries.” — via Nicholas J. Cotsonika of Yahoo Sports. | Stu Hackel’s brilliant interview with Ken Dryden, talking about the 30th anniversary of the greatest hockey book ever written. If you have never read it, buy a copy NOW! “The Game, by Ken Dryden, has never gone out of print for good reason. It connects the reader with professional hockey players as few books have ever done by revealing that which is universally human in them, showing their strengths alongside their vulnerabilities and placing them within the context of a superior but sputtering team striving in a common effort to maximize their potential.” via Stu Hackel, Sports on Earth. | Welcome a new team, the Indianapolis Fuel to the ECHL! | And how’s the new goalie equipment changes working out? “They were trying to get more goals, but maybe goalies are faster now,” said Jonathan Bernier, the Leafs netminder, flashing a devious grin. James Reimer, Bernier’s co-worker in Toronto, is certainly of the belief that he’s faster in his shaved-down gear, although he’s not particularly convinced the change has anything to do with his being on pace for a career-best season. “As much as it makes you quicker, it makes you less big, too,” Reimer said.” — via Dave Feschuk, theStar.com. |Speaking of goalies, how about this backup goalie for the Washington Capitals? “Caps video coach Brett “Stretch” Leonhardt has served many roles with the team. He’s been the video-web guy, back-up goalie, DJ, video coach, crash-test-dummy, and during Friday’s 3-2 win against Montreal, back-up goaltender at the same time as being video coach.” — via Ben Summer, Capitals Outsider. | Gilbert Brulé — KHL, Coyotes, KHL, Coyotes — you decide! “Scott Arniel played pro hockey a long time at the NHL and AHL level. Scott Arniel didn’t think he was paid enough for the time he put in. He didn’t like guys that weren’t married. Because in his words “I wish you guys had a wife and kids when you came to the NHL so you know how much they cost”. He actually said that in a meeting. So needless to say if you were single with no kids (which I was and am) and you were making good money (I was the highest paid defenseman in the organization) you were in trouble. Big trouble.” — via Hermy11, The Breakdown. Unless you’ve been hiding under a rock you no doubt have heard the news that the Edmonton Oilers have signed Ilya Bryzgalov, the Russian goaltender who has been burlesqued, lampooned and ridiculed in the hockey media for the past three years. The hockey world as I’ve discovered is one in which a great many involved — teams, players, media, and fans alike — are very insular and even xenophobic on occasion. It is also at times a contradictory world of full-blown machismo and a “pour your heart out” mentality, which often lends further fuel to being lampooned. Some of the reasons for Bryzgalov’s lampooning is his goaltending, but the rest is related to his own spoken words, which frankly and honestly, are very often lost in translation. Bryzgalov is a funny guy with great sense of humor, and he speaks from his heart, forthrightly, sharing a part of his soul, and wow, does he ever get beat up for that honesty and sharing. On top of all of that is the fact that English is not Bryzgalov’s first language, not to mention that he is Russian, which let’s face it, is an entire world away from North America culturally. I am greatly looking forward to watching Ilya Bryzgalov in Oklahoma City for a few games. This will be even better than the entire Edmonton Oilers team coming to OKC. This season alone we have seen a nice group of NHLers come through OKC with their AHL teams: Manny Malhotra (Charlotte Checkers/Carolina Hurricanes), Aaron Rome (Texas Stars/Dallas Stars), Alexandre Bolduc (Chicago Wolves/St. Louis Blues) and now Ilya Bryzgalov. Welcome to OKC, Ilya! Удачи! We are back to BBG&CS this week following my return from another road trip which, yes, included some hockey in Georgia and Florida, along with a lot of seafood and a few beaches. Can you seriously blame me for this break? Take a good look at that photo of the beautiful sand at Cocoa Beach, Florida. It was the end of October and warm enough to enjoy the water and soft white sand along the coast of Florida. I keep asking myself why I returned so quickly! | Outstanding article on Seth Jones — I MUST get to a Nashville game soon to watch this kid play in person! “Jones eyed this tangle in his path and, with his long arms, he smartly pulled the puck a few inches toward him and easily maneuvered to his left, deftly changing the shooting angle. In the same smooth motion, as Moen dove in vain behind him, Jones whipped the puck past Price’s stick, bulging the net. Twenty-one thousand sat stunned. A manchild in enemy clothes had effectively ended the game. The entire sequence had taken all of five seconds, a complicated play made to look easy, something that a number of NHLers 10 years his senior could not have done. Welcome to the NHL, Seth Jones.” — via Stu Hackel at Sports on Earth. “The never-ending career of Chris Chelios never should have begun. At age 17 he tried to walk on a startup college hockey program in San Diego, of all places. He had mononucleosis. He got cut. If he was a prospect at that point, it was for a beer-and-pizza league. He was working, going to school, bumming around the beach.” — via Nickholas J. Cotsonika at Yahoo! Sports. See also David Perron’s comment about Chelios below. “Holtby’s not the first player to get jumped and be an unwilling participant in a fight. But Holtby didn’t deliver a questionable hit. This wasn’t about retribution. This was about Ray Emery attacking a guy because he figured that’s what the locals wanted to see and because he’s terrible without the Blackhawks’ security blanket.” — via Greg Wyshynski at Yahoo! Sports Puck Daddy. See also my opinion on this issue, Emery’s Debacle — A Sad Night for Hockey at ArtfulPuck; and see Gary Lawless’ tweet below about possible NHL rule changes related to this event. | And for a much needed laugh …. Where’s Waldo? er, the Capitals? | And what about those Oilers, folks? There is a great deal of frustration at all levels of the organization all the way down to the fans, even OKC fans since the farm team is continually hit with reassignments. It’s part of the business, but it is hard to cheer when these farm boys are called up anymore. NHL games with the Oilers are not a great deal of fun at the moment. So, good luck to any callups (looking at you Fedun!) and the Oilers themselves, and may the future brighten considerably in the coming days, weeks and months. Something’s got to give, right? No, I’m not going to link to anything, I’ll just mourn them for a while, however, I will leave you with this calming moment … just listen to the soft crash of surf along the beach and feel the cool sea breeze against your face. Nice, isn’t it! — PT. | This weekend the Edmonton Oil Kings paid tribute to their former teammate and friend Kristiāns Pelšs who died tragically in Latvia this summer following his return from Oklahoma City. The Oil Kings coaches, trainers and teammates remember him fondly and talk about his time with the team and what impact he made upon their lives and team. The entire team wore Pelss’ number 26 jersey for warm-ups. What a lovely, magnificent sight — an entire team of number 26, viewed through tear-filled eyes. “Pelss, also an Edmonton Oilers draft pick, passed away this summer in his home country of Latvia at the age of 20. Over two seasons with the Oil Kings from 2009-2011, Pelss played 126 games and scored 42 goals and 83 points with the team. He also played in 21 career playoff games, racking up 12 points, including 10 in 17 games en route to the 2011-12 WHL Championship. In 2012-13, Pelss played in the Oilers farm system for the Oklahoma City Barons and Stockton Thunder. The Oil Kings have dedicated the season to Pelss’ memory, adopting the motto “Play for Pelssy.” A patch worn inside their jerseys displays the credo, and Pelss is also honoured with a helmet sticker featuring his number and initials and the Latvian flag. I have thought often of Kristiāns over this summer. In Oklahoma City we knew him only a short portion of a season but even in that time he found a place in all of our hearts. At OKC Barons training camp this week a sticker appeared on the Barons helmet with Pelss’ initials “KP” — a remembrance of a special teammate and friend. BBG&CS: Rules Schmules — Jerseys, Helmets, and Nets, oh my! “As anyone who has ever watched him play in a game or skate in practice knows, Alex Ovechkin has always tucked his jersey into his pants. While the Capitals winger is prepared to follow the rule, he’s not pleased with it. “I’m the guy who love that kind of stuff. I’m kind of upset about it, but most important thing, nobody talk to us, the players. They think it can be dangerous for somebody. I think it’s kind of stupid,” Ovechkin said Sunday. What favorite former OKC Barons player is currently at training camp? — see Former OKC Barons heading to Training Camps via ArtfulPuck. Updated daily as new rosters are released. Who signed where this season? — check out Where are your former Barons? via ArtfulPuck (updated continually). | And in other Jersey news — Have you seen the Finnish SM-liiga Jokerit ‘s jerseys? It’s crazy, but I love it! | Public Service Announcement: Just in Case you need to catch up with all 61 episodes of Breaking Bad — back to back, non-stop mayhem — Good luck! “…if Cornet shows up in the NHL I’ll print off this blog post and eat it,” said Benjamin Massey (aka Lord Bob) — via Copper & Blue. In OKC, we’ve already been introduced to Dallas Eakins. He’s impressive — he’s a force — and he has a bit of temper when he’s tossed from a game! This week it was great fun to see Eakins live up to his early June promise to the Media in Edmonton — “Everybody enjoy those doughnuts because that’s the first change that’s going to go in here!” –Dallas Eakins. Nazem Kadri on Dallas Eakins making the Oilers' media meals healthier: "I'm surprised he didn't have a few bikes out there, too." Medveščak’s first goal as a KHL team was scored by Jonathan Cheechoo. He made history and ended up with 2 goals for the team in a 7-1 victory over CSKA. (Photo: Igor Šoban/ MDV PHOTO). Link to video recap of game and Cheechoo’s goal. | Interesting news from Sweden regarding Chris VandeVelde possibly going to the Flyers – Adirondack organization? Neal tested Sonic’s OU team burger and I tested OSU’s team burger. BTW — we are talking Oklahoma University and Oklahoma State University. If you ask me, Neal’s OU burger looks tired and rather stale. Mine — Oklahoma State’s — looks fresh, youthful and ready to go the full distance this season! Go Pokes! Pistols Firing!